Business and homes have been using Microsoft Windows for 25 years now to manage their computing experience. Whether the main tasks are office based, gaming, using the system as a home entertainment center, editing video and images, recording and manipulating sound, writing, accounting, designing bridges or simply just playing games, Windows has proven to be the most popular PC operating system in the world. It is incredibly versatile – given the manner in which any programming team can provide software for the platform Windows that can do just about anything. This versatility was evident from the very beginning, but it’s only in the last 10 years that Windows has been used in everything from ATMs to air control towers. Windows first appeared in the mid 1980s – Windows 1.0 appeared in November 1985, and featured early versions of Paint, Notepad, Calculator and some other tools. 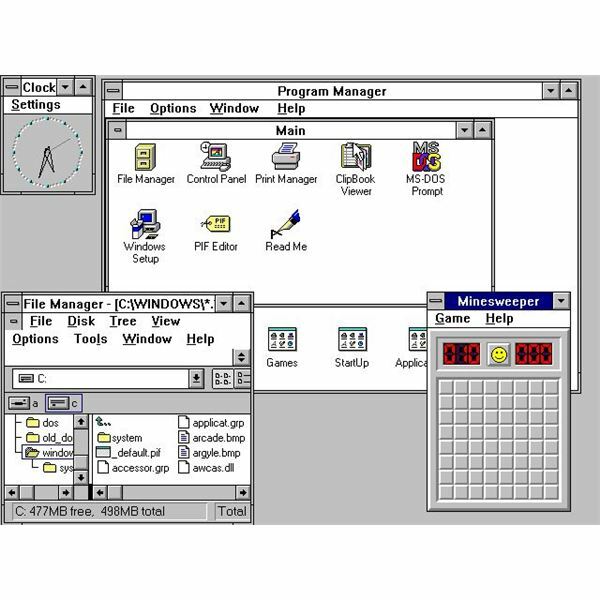 On-screen windows were tiled, and the whole thing was considered at this stage as nothing more than a user interface that ran on MS-DOS. Developments in memory management assisted the launch of Windows 2.0, while Windows 2.1 in 1988 introduced multitasking to the interface. 1990 saw the release of Windows 3, while Windows 3.1 came along in 1992. This period coincided with the take up of the operating system in Northern Europe. Windows had moved on from what was effectively a tool for managing MS-DOS applications and was now seen as a PC operating system. While there are some obvious similarities to later versions of Windows – such as the mouse interaction and the ability to manipulate the windows (from Windows 3 onwards) – these early versions were purely marketed as business applications. It would take a new version of the operating system to deliver Windows to home computing. Windows 95 was the first version of the operating system that looks anything like the product we now today. Support for high spec machines, hi res graphics and 16 bit sound, this operating system was also more stable than 3.1 and was the first version of Windows to offer plug and play support for detecting and installing hardware. No history of Windows operating systems can be complete without a reference to the important role the OS played in getting users online. 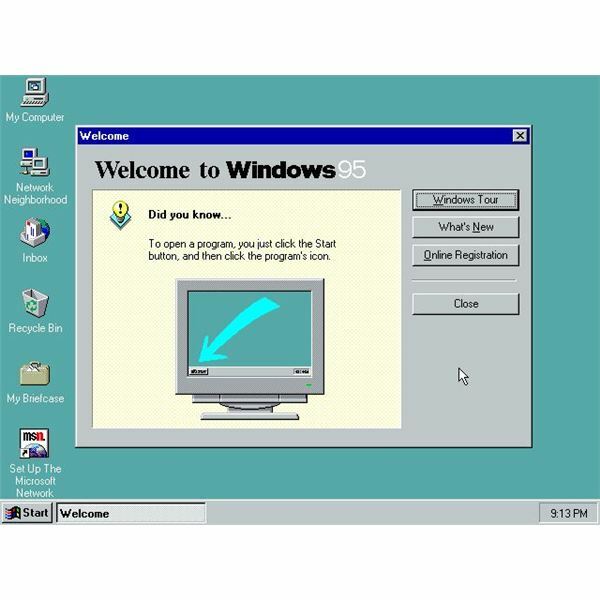 Most versions of Windows 95 also shipped with Internet Explorer, making Windows 95 the first version of the operating system to offer connectivity to the infant World Wide Web. It’s fair to say that without this inclusion, Windows 95 would have been somewhat less successful. Following 95, Windows 98 and Windows 98 Special Edition were launched – these were, on first appearances, very similar to 95 but in fact offered support for new hardware that 95 couldn’t. Many considered Windows 98 SE to be the most stable version of the operating system that Microsoft had offered to date. The subsequent release of Windows Me in 2000 was largely seen as a step in the wrong direction, and this version of the OS isn’t well regarded. Following the merger of Microsoft’s consumer and business operating systems, Windows XP was released in 2001, based on the Windows NT family of business oriented software, and a step up from the business-oriented Windows 2000. With improved hardware resource management and better protection for user accounts, Windows XP’s release coincided with a vast amount of investment in IT services across North America and Europe. As such the operating system has been used in everything from car assembly plants to managing airport luggage. 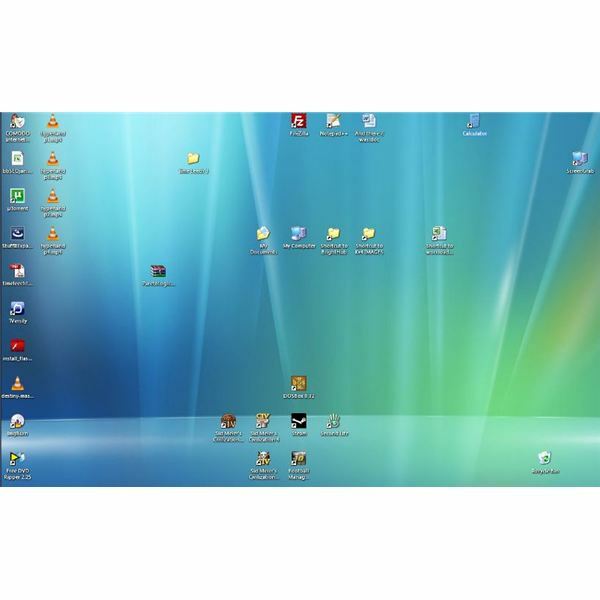 In addition to this, XP has been a perfect platform for a variety of domestic uses, such as home theater PCs. Media Center Edition was first released in 2002 and since then third party developers have offered much of the same functionality leading to XP being used as an operating system on home build media centers. XP has proven to be a massive success – as of December 2009 it was recorded as the operating system on 2/3rds of PCs with access to the Internet. Even though it was first released in 2001, Windows XP will be supported by Microsoft until at least 2012. Upon Windows Vista’s release in 2006 – heralded by a huge public relations campaign – it was almost immediately critically panned. With a redeveloped user interface (that still harks back to the “Windows 95 look" of a start button, task bar and windows) and a new shell offering a New Folder shortcut button and a more descriptive “breadcrumb" method of labeling file paths, Vista was nevertheless poorly received. With a great deal of negative press aimed at it due to a perception that the OS was needlessly strict, many users were reported to be switching back to Windows XP. Despite a damage limitation exercise, Microsoft put back development of their next big Windows upgrade to release Windows 7. Windows 7 is as similar and different to Vista as Windows 98 to 95. It is more enjoyable to use, less intrusive and ironically even the desktop styles seem brighter and more attractive than Vista. 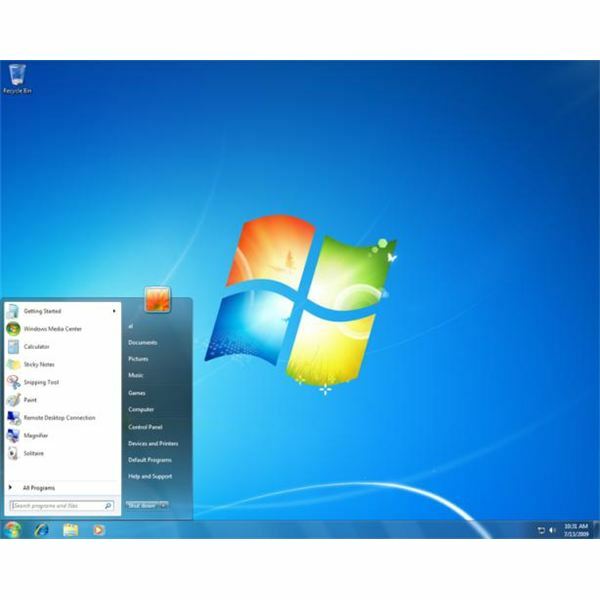 As of December 2009, just 20% of online users were running Windows Vista, while 5% were running Windows 7 just 2 months after its release. The future certainly looks stronger for Windows 7 – but with a new operating system due in 2012, it could have a short future. Series of articles that make the many different Windows operating systems easier to understand.